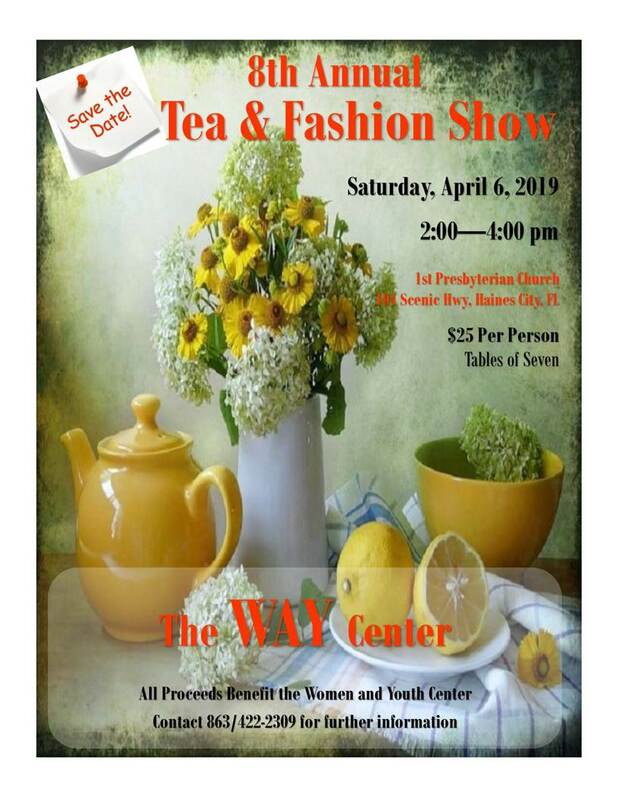 Details: The WAY Center's 8th Annual Tea & Fashion Show - Saturday, April 6th, 2 - 4 p.m., 1st Presbyterian Church, 101 Scenic Hwy., Haines City. $25 per person. Tables of 7 available. All proceeds benefit the Women and Youth Center. Contact 863-422-2309 for tickets of further information. Click HERE for the flyer.